Tamara continued her new job as a for hire bridesmaid. She came up against her ex who she was engaged to, but she got a big shock when she found out that he was engaged again. She opened up to him about her lies and he made the observation that she was overcompensating. Jenna continued to argue with Luke in the aftermath of her releasing the details about their relationship. 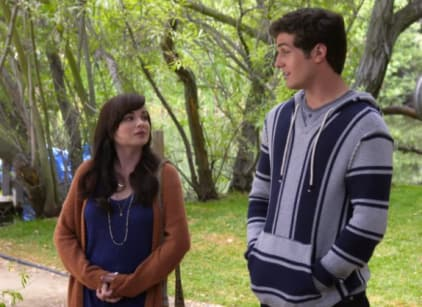 She takes a day away at Camp Pookah with Matty and they talk as friends, but their day ends with Luke showing up to get Jenna and offer her a new college. Sadie found herself in trouble with Sergio when she showed up at his truck and made fun of everyone. Sergio informed her that she screwed his plan to get investors and called time on their relationship. Lissa tried to make money and started by making a cross fit class. She needed Jake to go get a client, but he said he couldn't leave and offered to film it for her so that she could send it to the individual. Lissa was pretty impressed with it all and the two of them chatted about what the future held for them.